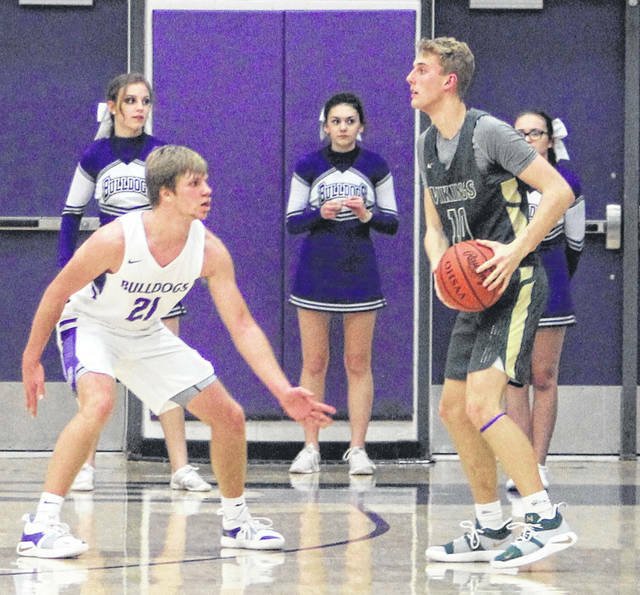 Evergreen’s Nate Brighton looks for an open teammate as he is surrounded by Bulldogs Friday. 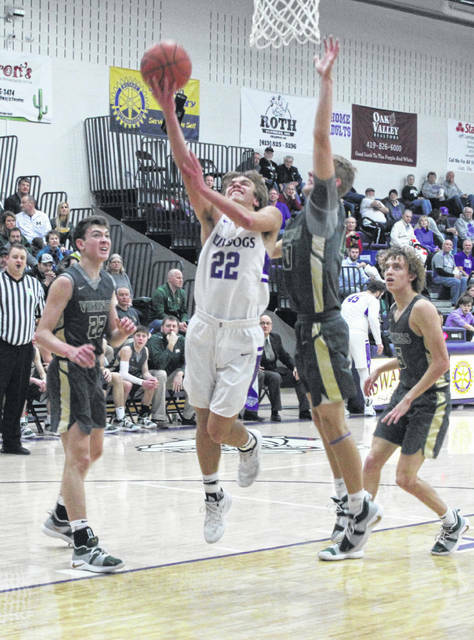 Swanton’s Dylan Gilsdorf drives to the bucket for two points against Evergreen Friday. 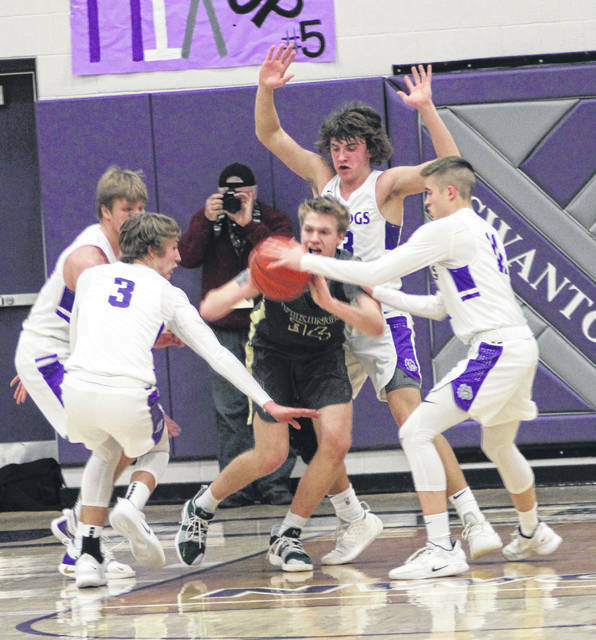 Swanton’s Randy Slink guards Chandler Lumbrezer of Evergreen during the NWOAL contest on Friday.